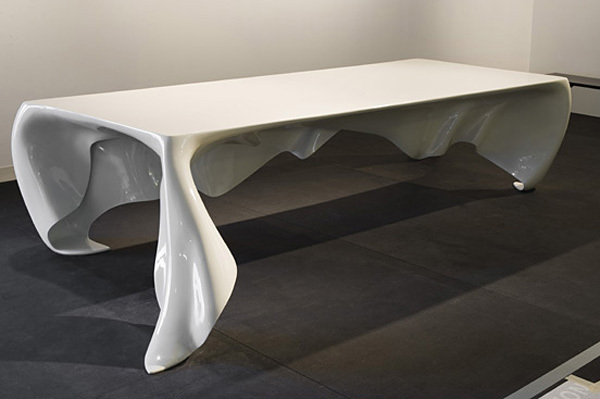 As if originating from the same sketchbook as Boccioni’s Unique Forms of Continuity in Space, or torn from Marilyn Monroe’s iconic wind blown dress, the Phantom Table captures the object in motion. It is an investigation into form that spontaneously elaborates on the relationship between activity and design. 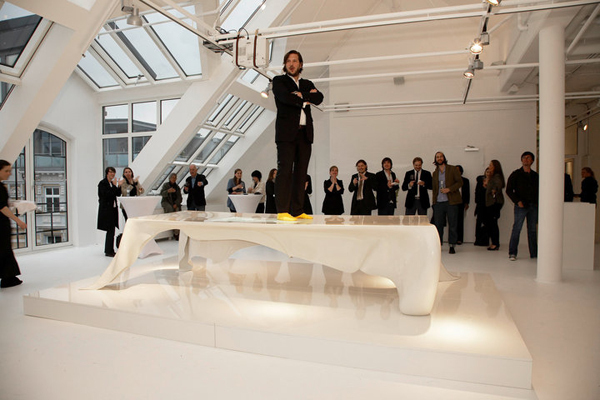 The idea is to minimize the importance of the table and shift the attention towards the people sitting around it. It addresses, through a specific situation, the possibility of object’s absence generating the corresponding activity. It is a concept of contradictions. The design tries to express the absence of design. It directs the attention towards the activity around it, but is hard to miss, with its dynamic shape and sensual playfulness. 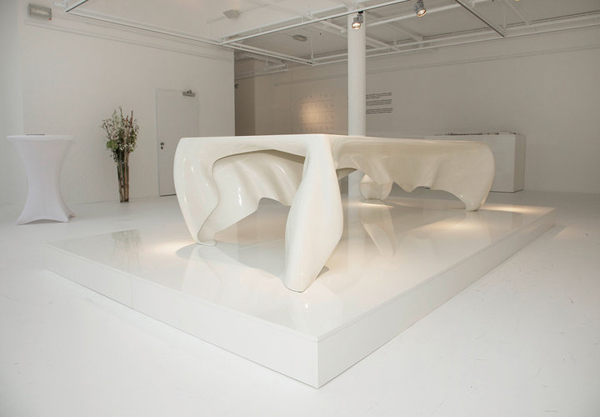 The skin is devoid of structural support, but becomes its own structure. 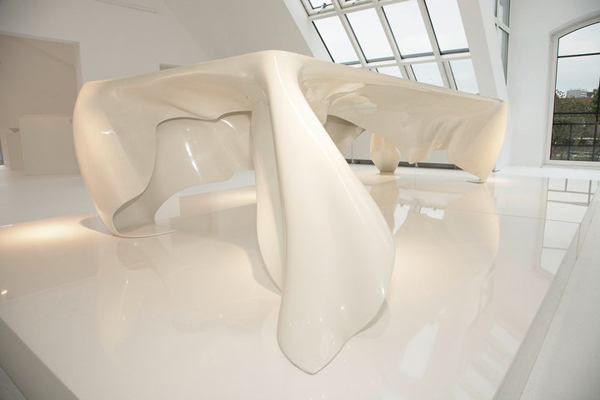 This interpretation of mass and space through negation of gravity creates a palpable manifestation of imagined form and accentuates its mutability. 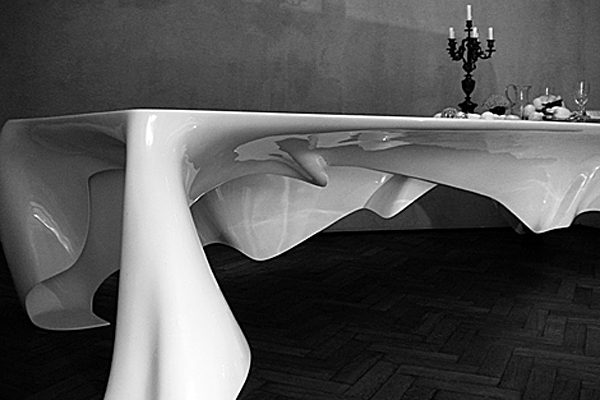 The table, made from a fibreglass composite material, only six millimeters thick and able to stretch over considerable lengths, was designed by Graft Architects. 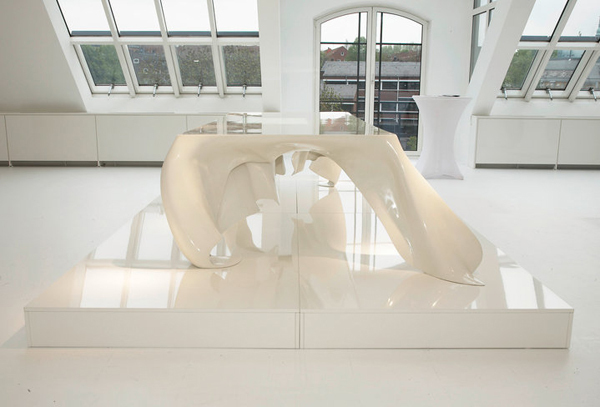 Exclusively designed for Stilwerk, the Phantom was featured at numerous exhibitions, including the Design Miami 2010.